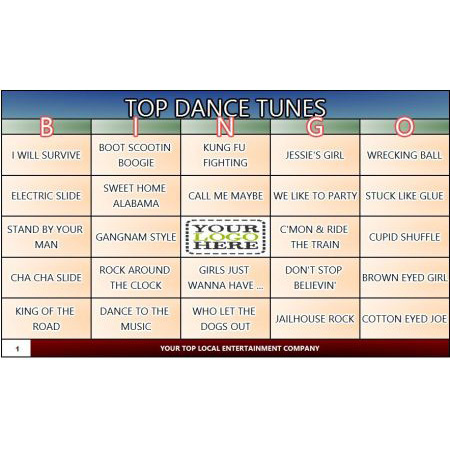 Are you a trivia host looking for an innovative, creative and fun addition to your trivia events? Are you seeking to stay one step ahead of your competition by embracing the latest wireless trivia technology? Do you aim to give your customers a night of trivia they will never forget? Are your trivia players getting tired of the same thing over and over again? Then Clobber is the perfect system for you! 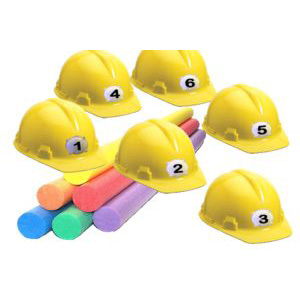 Made with REAL hard hats like you would see on a construction site, this popular trivia game will give your players an experience they will never forget. Each hard hat is wireless, and the hard hat of the first person to "buzz in" lights up with internal LED's. Produced by DigiGames, with nearly 20 years’ experience creating high quality trivia products, Clobber is the latest innovation in trivia technology aimed at giving players a unique, entertaining and fun experience. Clobber is multi-player trivia experience that will get your customers eager for more. The 24" long foam noodles are perfect for a contestant to clobber themselves (if they know the answer) or to clobber another contestant (to force them to answer). Up to 50 simultaneous CLOBBER hats for 50 players can be used. You can buy some now and add more later. This is the system your contestants and booking clients will be talking about for years! CLOBBER - The most unique wireless trivia system you will ever own! Where action, reaction, and smarts all come together! This is the real deal, not some cheap party favor plastic hat. CLOBBER uses REAL construction hats turned into an amazing trivia game! Launch any of our software games (included with your purchase) and trivia questions begin to display (see the videos on the "Videos" tab above). Players to hit (CLOBBER) themselves or each other on the hard hat with a harmless foam bat to answer, or force another contestant to answer. Our software games accurately knows which contestant was clobbered first and identifies it by turning on the bright LED light on the front of their hard hat. Players earn points by answering correctly and the included software game tracks the points automatically for you. At the end of the game the player with the highest score is the winner! Clobber is based around the concept of wireless buzzers, which in this case are hard hats. Each player is presented with a hard hat and a foam bat and the aim is to "buzz in" when you think you know an answer by giving yourself a whack on the head. Throw into the mix the potential for whacking other players to make THEM answer and what you have is a device with which you can create trivia games like no other (see the videos on the "Videos" tab above). Clobber is not your normal trivia night……it is way better than that! Customers relish in being able to whack each other the head, let off steam yet still play trivia. At the end of a working day sometimes a pen and paper trivia night is not what the doctor ordered…….Clobber is! The equipment itself is robust, firm and durable and will last a lifetime, because it is made from REAL construction-site hard hats, not cheap party hats. The hats are appealing and can be ordered in a mix of colors. 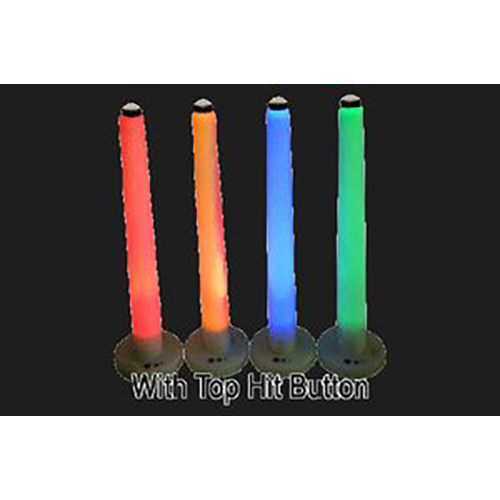 Flashing LED lights to indicate which player was first to be Clobbered. The internal sensors do their job and you won’t have any trouble with the event. Compatible with all of DigiGames software (software included) you will find easy to setup, the installation simple and above all else, the system does a lot of the work making your trivia night hosting far less stressful and allowing you to sit back and enjoy the game of Clobber! As with all DigiGames products you can be confident of a reliable, effective and creative product that will enhance any trivia event ranging from par trivia, team building corporate trivia to weddings, parties and all sorts of occasions. In fact, one of the best things about Clobber is how diverse it can be used. Literally whatever the occasions Clobber suits! You can also rely on DigiGames to provide you with round the clock support to ensure your use of the product goes smoothly with support available from our widely experience and passionate customer service team. We want your trivia night to succeed so will strive to do our very best to help you achieve that. So, don't delay any further! Enhance your trivia night and boost your business by incorporating Clobber into your trivia events……the rewards will soon be repeated! Use Clobber with any of our software games (software included) which allows you to diversify each event you do. Let us know your desired color(s) and we will provide you with an prompt quote! 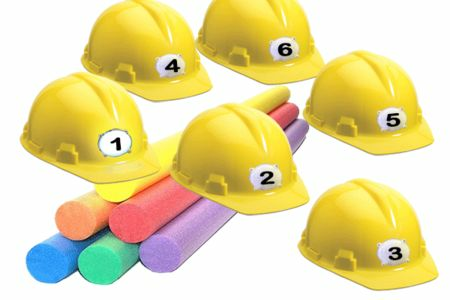 What makes a wireless trivia hard hat option so unique? The hard hat contains a wireless transmitter which sends a signal to your computer when the contestant is harmlessly “clobbered”. The other contestants are then locked out. A contestant who knows the answer clobbers himself. If a contestant thinks that another participant doesn't know the answer, he/she can clobber them and put them on the spot. Since the clobbering device is made of foam rubber, no contestant is actually harmed during the course of the game......except maybe their dignity! 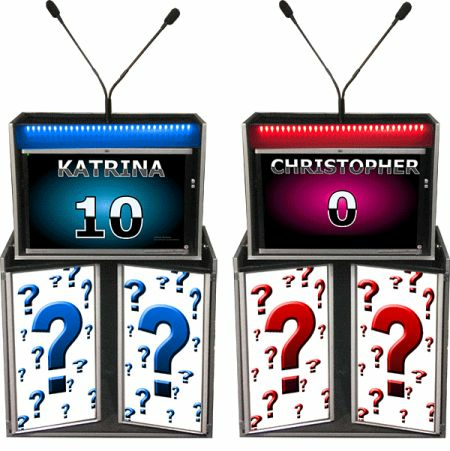 Clobber will be one of the most interactive and unique game show systems you will ever own. 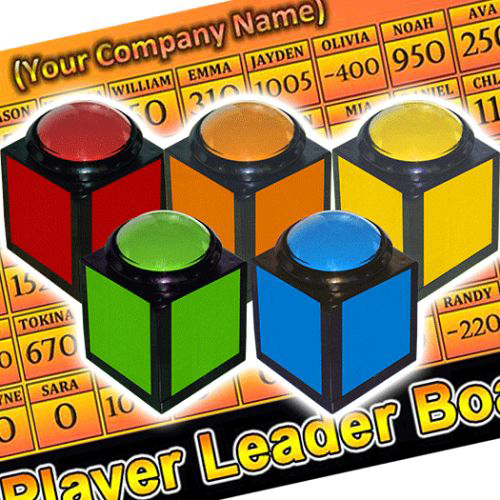 Clobber your competition by being the first in your area to offer this new and exciting game. No monthly fees and no internet required! 1. Launch any one of DigiGames software games and ask your questions (use factory default questions or add your own questions and answers into the game. Participants 'buzz in' by "clobbering" themselves or each other with the foam noodle (included with the order). 2. 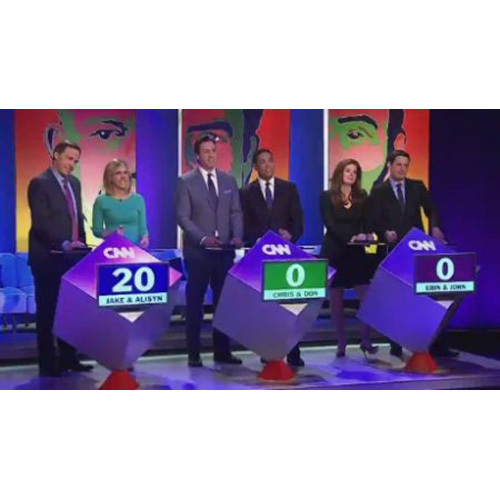 The clobbered contestant's hat lights up, signaling that he or she has the 'go-ahead' to answer the question. All other CLOBBER hats do not light up to signify that their hat is locked out. At the same time our software games identify who was clobbered first. Connect a projector to your laptop for a greater game show experience. 3. If a contestant answer is wrong: Press 'NO' in the software. Other contestants now have the opportunity to answer. If a contestant answer is correct: Press 'YES' in the software. All the hard hats will release and a new question session can begin. Automatic Scoring: All of DigiGames software games track the scores of all the contestants and you can easily set the value of each question. At the end of the game there is a winner! Compatible with Windows XP, Vista, Windows 7,Windows 8, Windows 10. Schools/Academics - Use for classroom training, student participation and team building, post-prom parties, fundraisers, and other after-school activities. 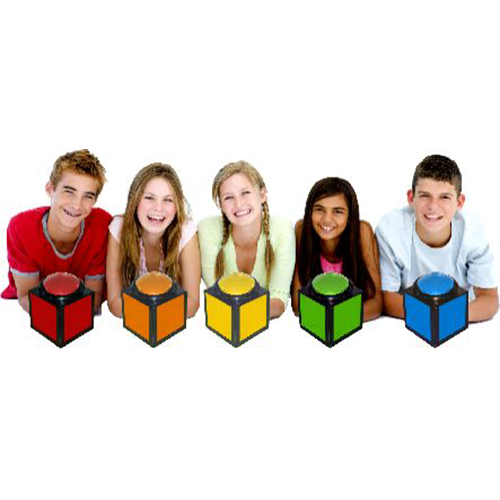 Trade Shows - Draw attention to your exhibit booth by performing trivia. When your exhibit booth is surrounded by a crowd of people, your product or service will be highlighted, your time is maximized educating the public, and your company will CLOBBER the competition. Numbered 'Light up' wireless hard hats. 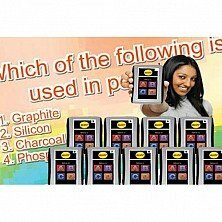 Purchase 4 or more and you will receive the Trivia Party Pack of Games (Trivia Board Pro 4, Trivia Squares, Trivia Feud, and Trivia Fortune. A USB receiver is included with the purchase of 4 or more Clobber units.